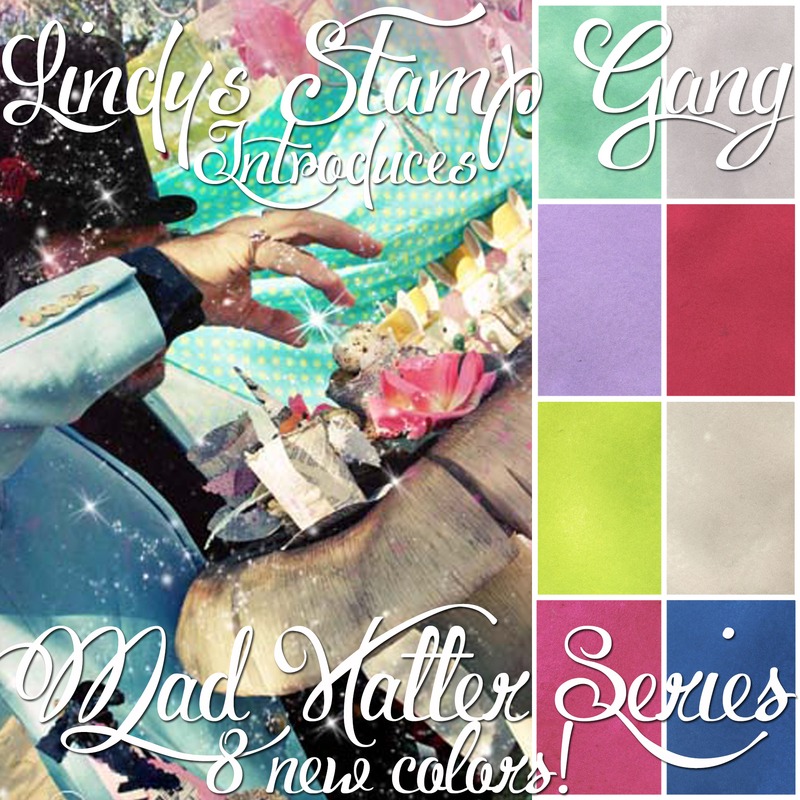 We are so excited to show off eight new colors joining the Lindy’s Stamp Gang family! These gorgeous colors will be available after August 1st are available NOW! You can purchase all eight colors at www.LindyStampGang.com! Fabulous! I really liking the Curiouser Chartreuse & The Tea Pot Purple!…wait they’re all yummy! Gorgeous indeed! Can’t wait to nab some of these!! New colors are intriguing and awesome. Can’t wait for August release. Very excited about the new colors! Chartreuse!!! Mad Hatter mint and Down the rabbit hole are incredible !! !